Born at Beardsley, Minnesota around 1896, he joined the Cargill grain firm at Minneapolis in 1915 and was later transferred to Duluth as branch manager. 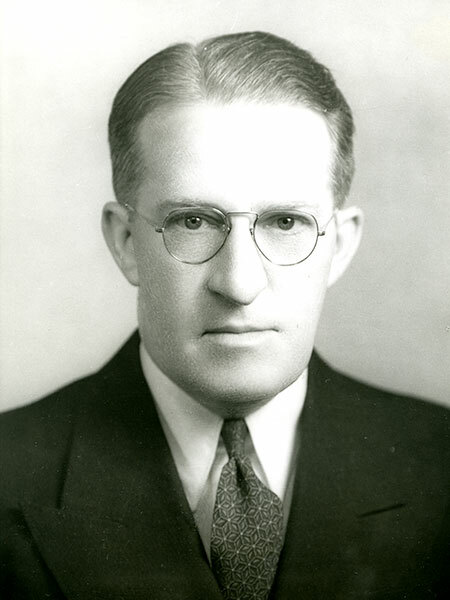 After his transfer to the Winnipeg office, he was appointed President of the Cargill Grain Company of Canada in 1932. Elected to the Board of Governors for the Winnipeg Grain Exchange, he served as its Chairman (1948-1949). He died of a heart attack at Grand Rapids, Michigan on 23 July 1953 and was buried at Minneapolis. “Harley Flood, grain man, dies in U.S.,” Winnipeg Free Press, 24 July 1953, page 8.